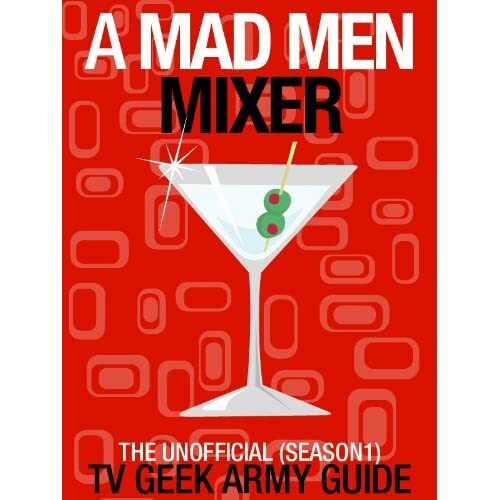 Posted on Sunday, July 10, 2011, by Eric - TV Geek Army "Revered Leader"
Matthew Weiner and company have an uncanny knack for creating mini-masterpieces out of the third episode of Mad Men seasons. “My Old Kentucky Home” from Season Three and “The Good News” from this past Season Four immediately spring to mind, yet “Marriage of Figaro,” just the third episode of Mad Men to ever air, has so much going on it that one could easily write a book to cover it all. A key moment comes when we see Don sitting in his car under a bridge near the end of the episode. He has completely flaked out on the errand that Betty has asked him to do, which was to pick up a birthday cake for Sally’s birthday party. He’s also been drinking heavily all day, likely to drown out the memory of being called out as his true identity, in addition to the fact that the woman he’s truly interested in at the moment – the smart, independent, and beautiful Rachel Menken – has rejected him after they shared their first kiss (he tells her that he’s married, she tells him to buzz off). As Don smokes and stares at the underside of a bridge and we hear the sound of a passing train nearby, we can tell – through the always fantastic performance of Jon Hamm as well as everything that we’ve seen – that he is attempting to reconcile the multiple identities and layers of truth that he must keep straight at any given moment. The relentless conformity and banal banter coming from the adults at Sally’s party has driven him past the point of being able to deal, at least for the moment. He arrives home late that night, and it’s obvious from Betty’s reaction as well as from a comment that Chet has made earlier that Don disappearing for a number of hours (or longer) is not an uncommon occurrence at the Draper household. He has a gift though, a dog quickly dubbed Polly by little Sally. “I don’t even know what to say,” Betty says, but more than anything she seems pleased that Don is home and life will return to having a veneer of normalcy for the moment.